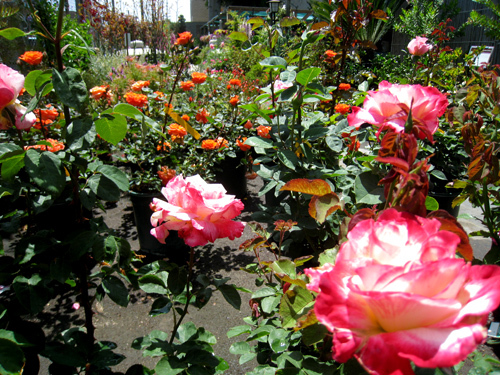 When you walk through Yamaguchi’s Rose Garden, you might just feel “Bewitched” or “Doubly Delighted”! The “Grand Dames” and “Gentle Giants” could either bring you “Peace”, shoot you “Over the Moon” or land you in “Paradise Found”. 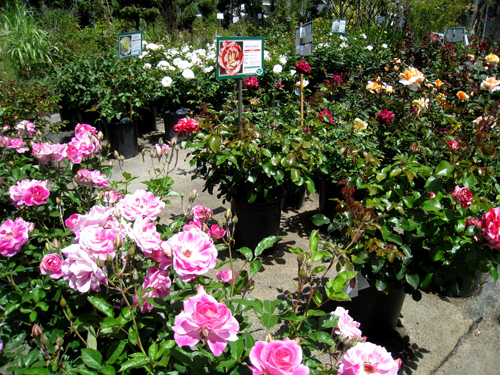 Yes we carry the more famous Hybrid Tea/Grandiflora roses, but we also have the ever popular Floribunda, English, Climbing, Shrub, and Miniature Roses, as well as Rose Trees — Roses ideal for every landscape situation. 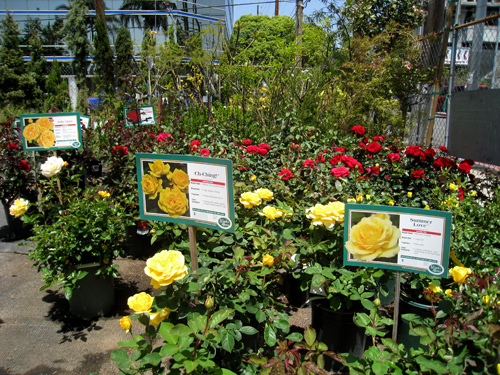 Our rose selection is always changing to reflect new introductions, AARS(All-America Rose Selections) winners and old time favorites. As the season progresses our rose selection increases and if you don’t find what you need we are always willing to special order from our many resources. It is always our pleasure to “Honor” your request and make your “Dream Come True”!